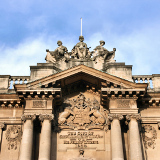 Located in South West England, along the River Avon, the city of Bristol is a charming tourist destination, owing much of its appeal to its maritime history and regal architecture. Bristol is one of the eight ‘core cities’ in England and home to over 400,000 people. Attractions include the SS Great Britain, Clifton Suspension Bridge and Floating Harbour. Cheap flights to Bristol are now available for a limited time only, so get ready to experience the rich history and vibrant harbour attractions this cosmopolitan city has to offer! Bristol is home to Bristol Airport (BRS), which is a 25-minute drive, or 45-minute train ride, from the city centre. The city is characterised by the colourful boats and valiant war ships dotted along the River Avon, set against a backdrop of distinctive Georgian-styled buildings. Cycle or stroll between the quaint cafés and shops that line the harbour front. Famed for its maritime history, this port city boasts some of the most impressive architecture and distinguished landmarks dating back to the 11th century, including the Clifton Suspension Bridge and Bristol Cathedral. 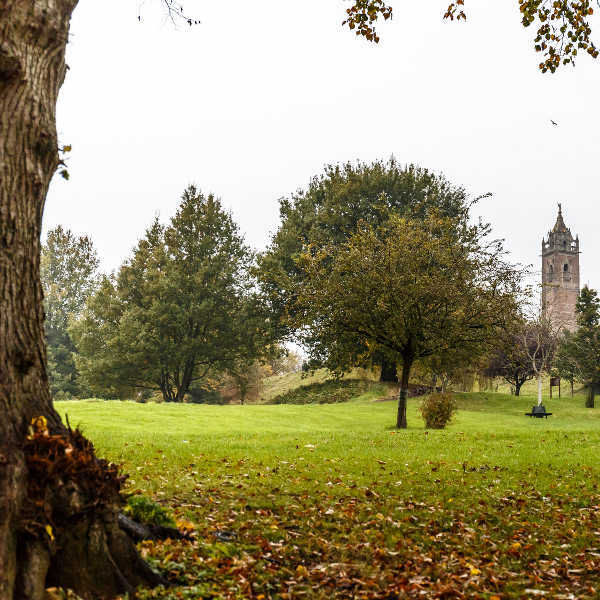 Take a break from all the spectacular sights of the city and relax in the lush green gardens of Queen’s Square or Ashton Court. Hire a bicycle and cycle through the picturesque forest areas surrounding the city. Bristol is one of the warmest and sunniest cities in the UK. Rainfall increases during autumn and winter (October to January), but this certainly doesn’t hinder any of the wonderful activities on offer. Late spring through to mid-summer, occurring from April to September, is the ideal time to pay Bristol a visit. The city boasts an array of exciting festivals and outdoor activities during spring and summer, including wine tastings and art exhibitions. 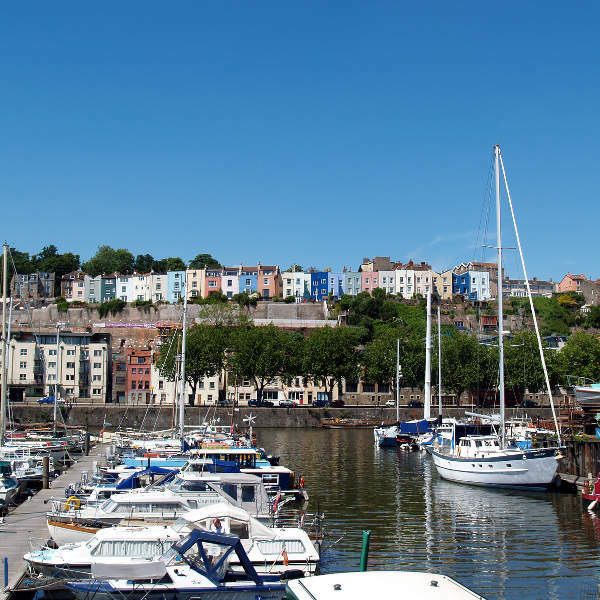 The Bristol Harbour Festival is not to be missed, taking place over the last weekend in July. This free event is an explosion of live music acts and theatre with many boats to be seen bobbing along the river. There are countless attractions in Bristol, catering to every taste, so you’ll find plenty to entertain and enthrall you, no matter how long your stay. On the list of official tourist attractions that simply cannot be missed are At-Bristol, Bristol Zoo Gardens and the Clifton Suspension Bridge. 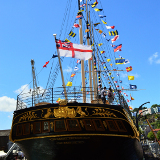 Boat enthusiasts will also enjoy the SS Great Britain – the world’s first iron-hulled, steam-powered passenger liner, preserved in a dry dock next to the floating harbour. 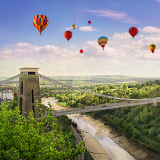 If you’re in Bristol during the spring or summer, you’ll experience the best of festival season, including St Paul’s Carnival, The Bristol Balloon Fiesta, and Mayfest. The rest of the year still offers plenty of entertainment and cultural value in Bristol, with numerous music venues, live theatres, comedy clubs and art-house cinemas. Keep an eye out for the works of famous street artist, Banksy, whose unique graffiti can be seen all over the city. For trendy shopaholics, Cabot Circus is a dream-come-true, although the various markets offer more in the way of Bristol souvenirs. Explore St. Nicholas Market, Straits Parade or Whiteladies Road for a fortnightly retail affair! 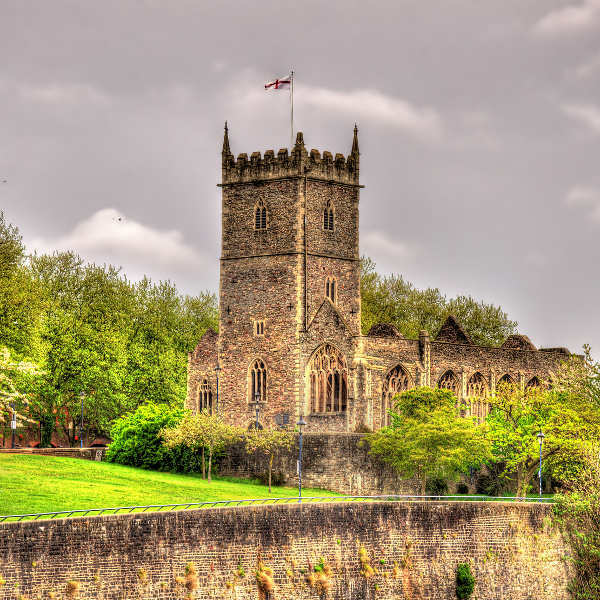 Compare several airlines and book your cheap flights to Bristol online at Travelstart! Bristol is considered as a reputable, safe city with very low crime levels. That being said, do take the usual precautions and don’t be negligent with personal belongings. Festivals and large crowded areas are hotspots for petty theft, so keep valuables close at hand. You’ll find that the suburbs quieten down after midnight with very few people roaming the streets. Contrastingly, the bars and pubs around Whiteladies Road in Clifton and the city centre keep the streets livened up till the early hours, so if you find yourself walking home at night, stick to well-lit areas and if you feel unsafe, speak to the doormen outside these establishments. Stick to main roads and avoid narrow alleyways, particularly if you’re a woman alone. The police are always willing to assist and they clamp down harshly on criminal activity. Do not be irresponsible and drink and drive. Also, the use of mobile phones while driving is strictly forbidden. There are plenty of taxis and night buses to get you home safely. If you’re anyone who likes a bit of old-school charm and rustic features, you’ll definitely want to stay in the heart of the Old City. Located close to the bustle of central Bristol, comprised of cobbled streets and squares, this neighbourhood has an historic charm made up of unique, quaint shops and corner cafés. Converted from old Victorian warehouses, the hotels here will make you feel right at home. For a touch of retro glam, the steep, trendy area of Clifton oozes Georgian architecture with stunning panoramic views of the city. Home to the Victorian-designed Clifton Suspension Bridge, Clifton boasts an eclectic range of bars, restaurants and shopping spots, all within walking distance to the city centre. If the buzz of the central district is not your thing, stay a little further afield on one of the historic estates, which have been converted into B&Bs, nestled among lush golf courses and lovely nature trails. If you really want to splash out, live like a king and stay in one of the ancient, restored castles overlooking the ragged coastline. Most attractions around the centre of town (including the Harbour side and Old Town) are easily walkable, with many designated pedestrian routes along the quayside and central streets. If it’s your first time in the city, a walking tour of the city is not to be missed! Tours are 3 hours long every Saturday morning, starting at the bottom of Park Street. Bristol is a bike-friendly city with many cycle routes and free maps to make getting around easier. The central train station of Bristol Temple Meads offers direct train routes to all nearby cities and towns. Sit back, relax and enjoy the scenic ride to Severn Beach for some seaside fun. The city buses follow a scheduled route, so be sure to check the timetable online before planning your day. Enjoy an open top bus tour between February and December, where you’ll see major attractions like Bristol Zoo, City Docks and the central district. Another way to see the sights is by boat. Hop on a ferry and weave between the floating harbour and city centre, hopping on an off as you please.